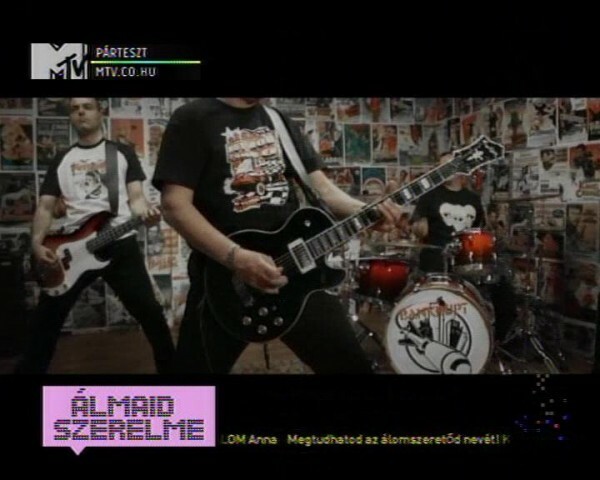 MTV Hungary will start playing Retro, the Hungarian version of Rewound from tomorrow. Three times a day. Cool, innit? It’s been 4 weeks since we posted our new video on YouTube. Up til now Rewound has received over 15,000 views on our channel, 3,000 more on Blank TV, and if we add the views of the Hungarian version, it totals over 20,000 views. The video will also be included in the roster of German online TV station tape.tv. Rewound was chosen as video of the day by purerawk.com, Yell Magazine published a nice review about it, and dyingscene.com, fortheloveofpunk.com and a lot of cool music blogs also shared the news. Thanks for everyone who helped us so far!